WE have just finished stripping this flat roof in Ashton and replacing it with a Firestone EPDM Membrane. 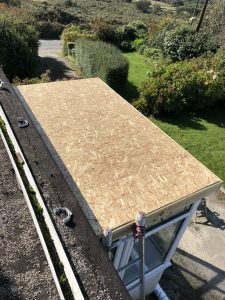 We removed the old felt roof and deck boards and installed new 18 mm OSB boards. 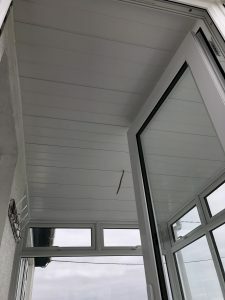 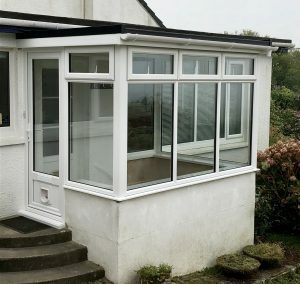 Once these where in place we installed new wood fascia boards for the installation of white UPVC fascias. 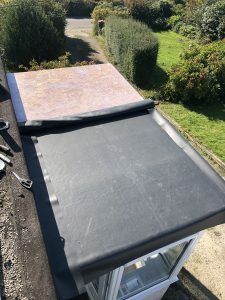 Once the roof was ready we laid the Firestone EPDM and installed Permaroof curb stands and gutter trims. 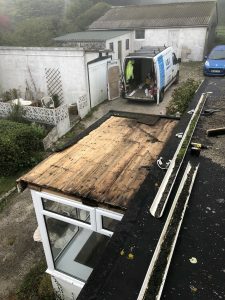 WE also removed the old ceiling and installed roof insulation and white hollow shiplap. 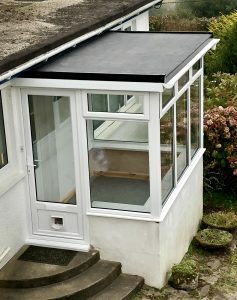 WE added some white guttering and down pipes as the old roof didn’t have any. 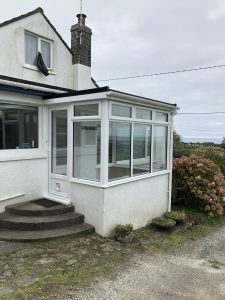 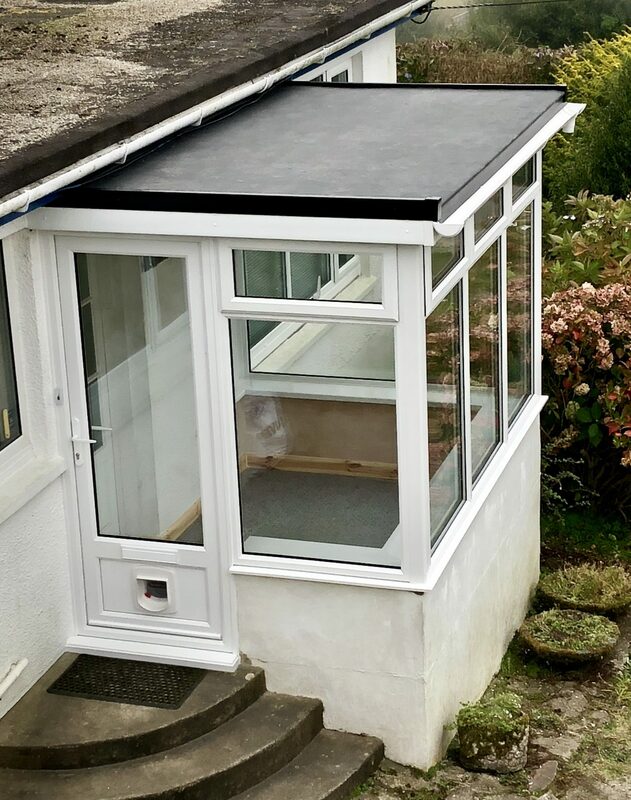 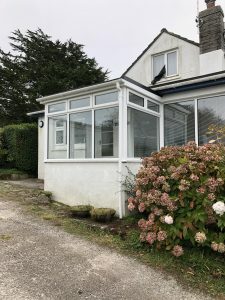 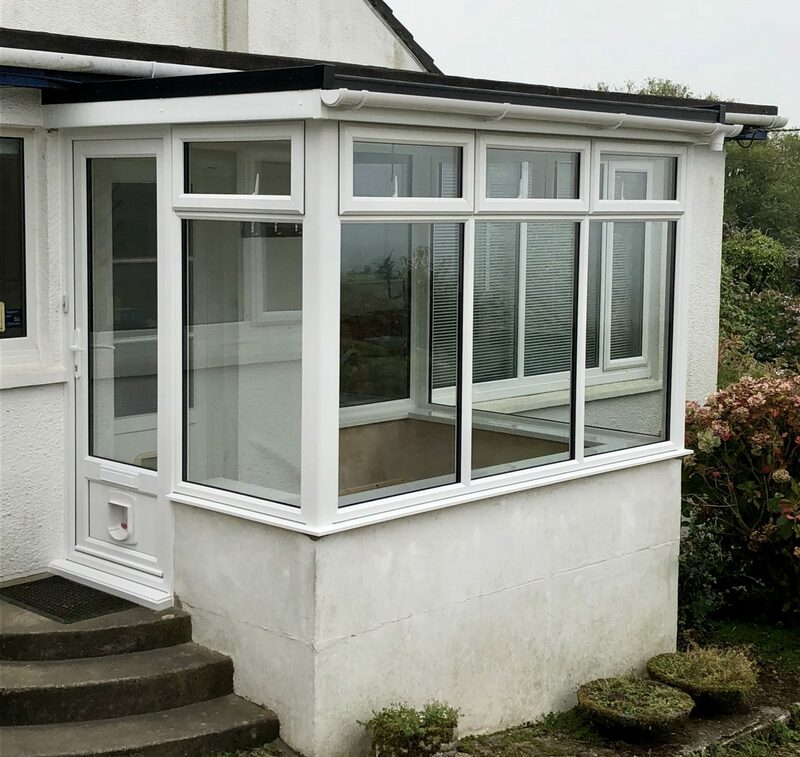 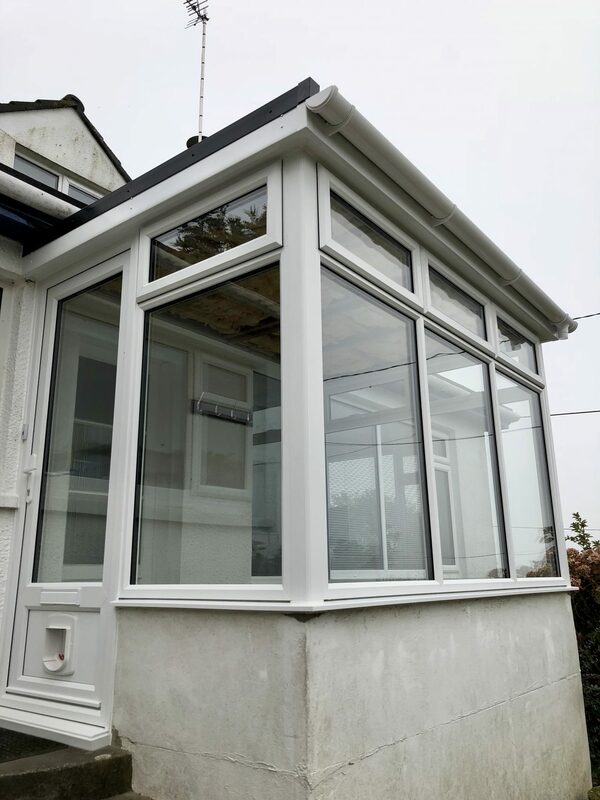 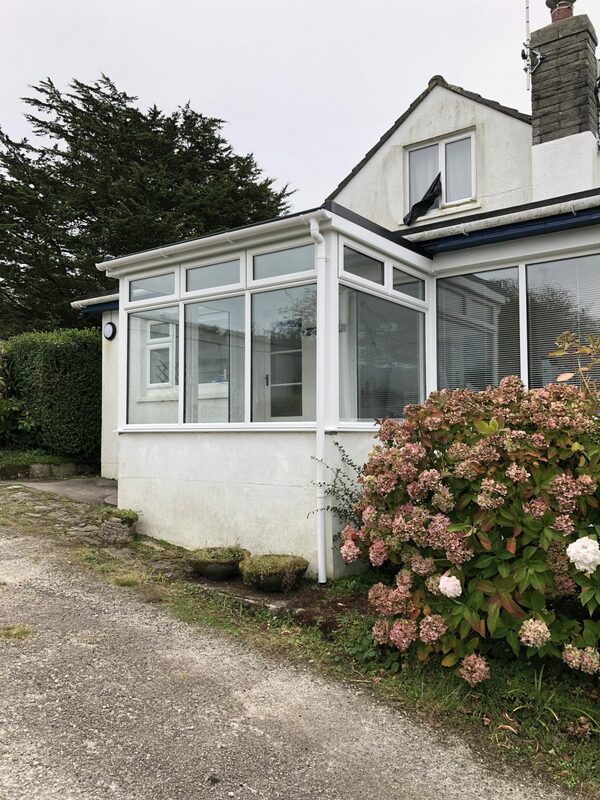 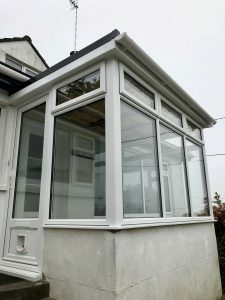 The porch had new double glazed windows installed by Collingtons & Co of Helston. The customers are extremely happy with the outcome and was pleased with the way we worked in partnership with Collingtons & Co.